Love the quiet court. It's great being close to everything you could possibly need. The house is pretty big and keeps cool in summer amd warm in winter. Also, netflix, internet and all amenities is included in the weekly rent. Pets welcome. We.do have 2 cats. 1 indoor and 1 outdoor. Rabbit and Buffy. Buffy's a bit stuck up but Rabbit is awesome. Water feature at the front of the house once its finished. Fiber Optic (NBN) and Netflix available. All the bills we have to share except NBN and Netflix. 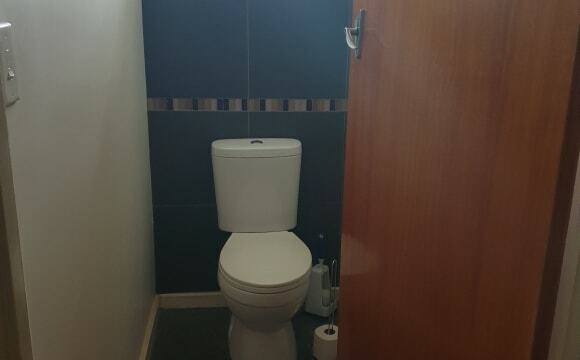 Air con, internet, Netflix, heating, dishwasher, washing machine, very spacious house and plenty of privacy. Quiet court with secluded garden, friendly neighbours and an easy bike ride to Pacific Plaza, Werribee station, and Victoria University, Werribee Campus. Approx. 1 hour by public transport to Sunshine Campus. Other occupant an easygoing elder gentleman. Air conditioning, central heating, use of all amenities, backyard. BIR’s. 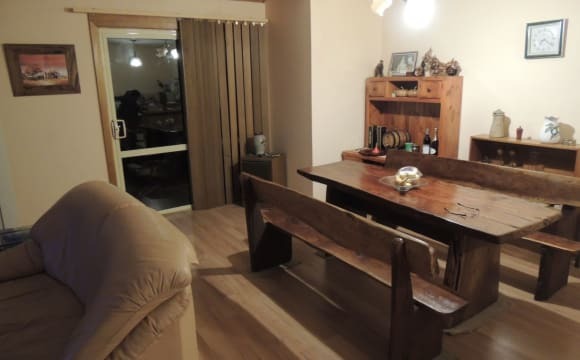 Quiet location, nearby shops, bus and train station not far, near racecourse, Eagle Stadium, Gym, Pacific plaza, park. Near Avalon airport. We are looking to fill 2 rooms at our property. We have 1 with an en-suite and one which you will have to share with one other person. Your more than welcome to bring your own furniture as the tenants that will be moving out is taking majority of the furniture. Place is very clean and relaxing. It is very cosy and warm for winter. Owner is very down to earth, likes to go out here and there, enjoys a glass of wine every night after a long day at work and tries to cook home meals every 2nd day. 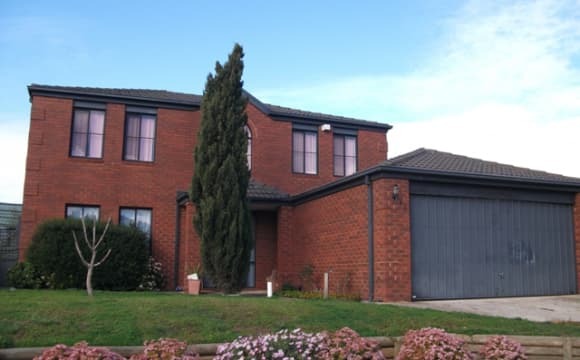 A nice house in Werribee situated on a court. Solar panels to save on your electricity bills. Lovely backyard. Recently renovated. Available 12th May. House is UNFURNISHED. Nice area, I'm pretty easy to get along with. Great views of the You Yangs too if that's your thing! 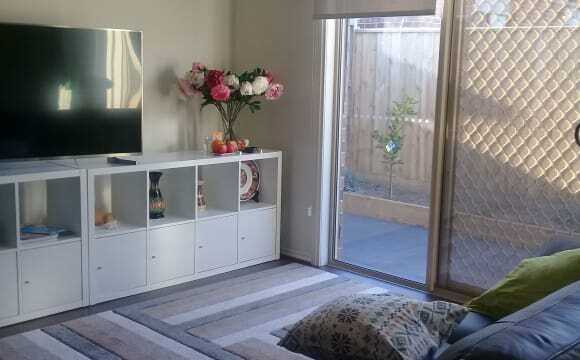 Room for rent The house is 2 mins walk from Werribee station. We are looking for a female non-smoker employed/student who is willing to share with a married couple and a female flatmate. You will have a private room with built in wardrobe and sliding glass door. The room is fully furnished with brand new furnitures. New bed frame, new mattress, beddings, study table and bed side table. You will also able to lock your room for added security. Bathroom is shared with other Female flatmate. The house is fully furnished. It is a 3 bedroom double storey house. You will be sharing the house with a non-smoker, quite and clean married couple and another female flatmate. Pets are not allowed in the property. 2 weeks bond and 2 weeks rent in advance is required. 5 minutes to Woolworths and other shops. Give me a call or send a text message if you are interested, we can arrange to meet up to show you the property. 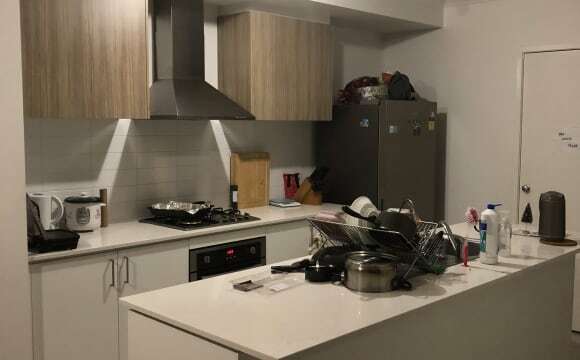 Central location situated100 meters from bus stop going to both railway stations and plaza, outdoor bbq area, with shared bathroom with one other off street parking available. One furnished bedroom available. Queen bed, tall boy, BIR, tv point, and heater. Security lock on bedroom door. $160 per week with bills. With broadband internet. FEMALES ONLY. International students / full time employed are welcomed. CENTRELINK members are not accepted. NO COUPLES, MALES, CHILDREN OR PETS. Boyfriends aren't allowed to stay only visit. As I want to maintain privacy and security for current two female borders including myself the landlord. Must have employment referees / student id card / drivers licence. Peaceful, quiet and tidy household. Safe and secure. Not a party house. Must respect privacy and boundaries of others. Bedroom linen is provided. Must supply your own computer, food, towels. Optional to bring your own bedlinen. No picture hanging on walls. On street parking only. Smokers OK but must be outside of house. 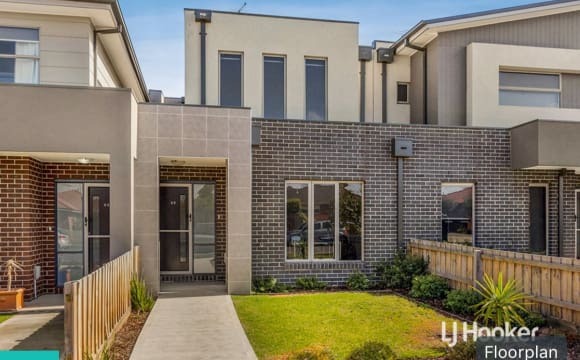 10 mins walking distance to Werribee Plaza. 10 mins walking distance to Buses services. The house is situated in the quiet surrounding of the Riverview Park estate. The peaceful picturesque Werribee river is only a 2 minute walk and within short distance to parkland and shops. the home is a blend of modern amenities. 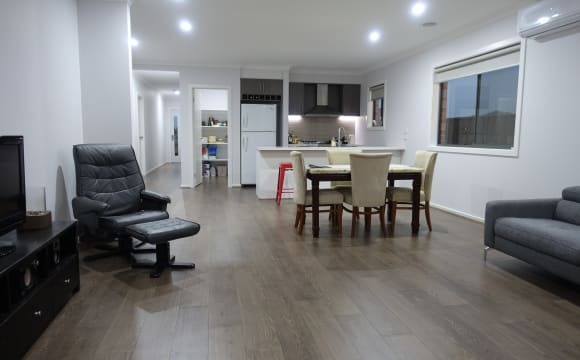 4 bedrooms, 2 bathrooms, ducted heating, evaporative cooling and NBN and great neighbors. I was going to sell the home as it is too big for me on my own, however I love living here in this court and this home and I decided to share my home with someone who will respect the home and keep it clean and tidy. 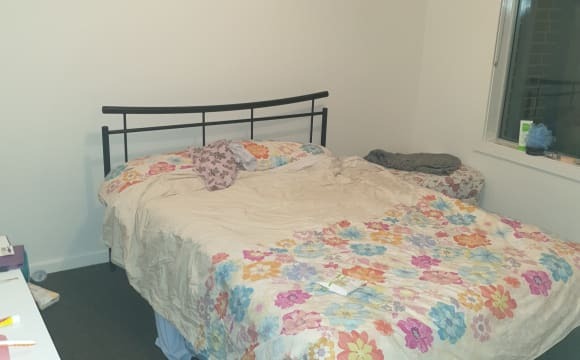 I have 3 spare bedrooms one is fully furnished and the other 2 are not furnished, I can furnish the second room if needed, or if you have your own bed etc you are welcome to bring it and furnish the room as you prefer. we will be sharing the kitchen and laundry. the 2 spare rooms will be sharing a bathroom, and there is also a living area for your comfort. Pets will be considered, only if you have a small dog that does not shed hair as I am highly allergic to animal hair. 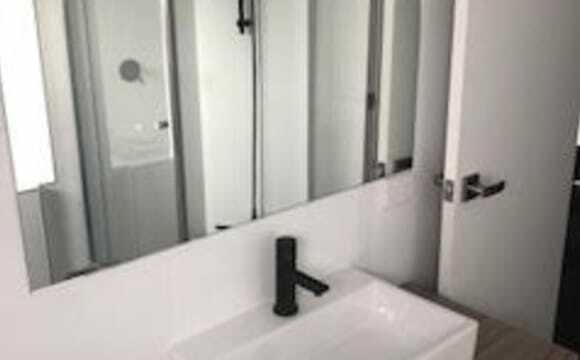 Close to Werribee Plaza ,parks, public transport, community centre. 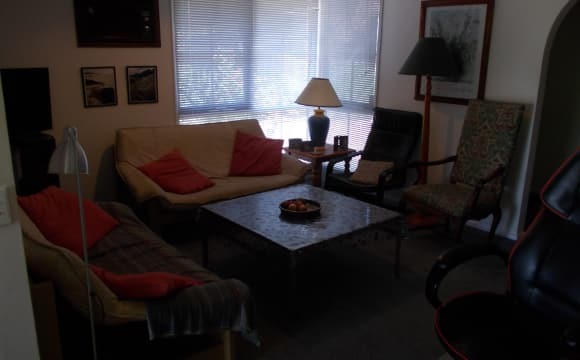 10mins drive to Werribee Mercy hospital, Victoria university, and Wyndham private hospital. It is a brand new house, located in a convenient location, buses just within 15 mins walk away. For the rent of $180/week, fully furnished, includes all utilities' bills and unlimited access to internet (Wifi). Also includes Wifi. Cooking and laundry facilities are available. Car park is available as well. You can have your privacy. We are respectful people. Hi, Koy is Thai and lives in Australia. We are seperated and I live in Thailand. We are looking for a flatmate for Koy. The house is in Werribee. Koy is an easy going person and you can consider the place your own to relax in. The house is clean and tidy, in a quiet neighborhood near the river. It is just a ten minutes walk to the train station and shopping centre. You have your own room and storage. Koy would like to find a friendly person to share with. She speaks English well but prefers Asian people to live with. The house is small but cosy and low rent. We are looking for a happy and responsible person to share the house. FEMALE only. I'm due to move into this incredibly modern place at the beginning of January. It will be fully furnished, and has plenty of wardrobe space. 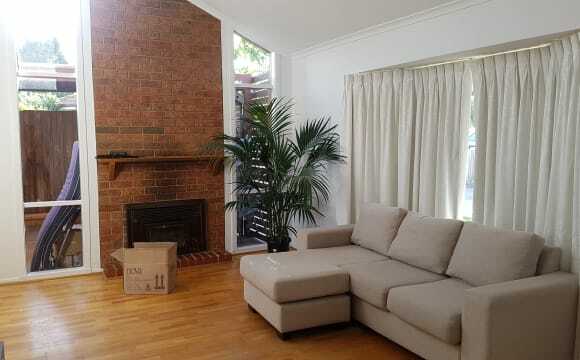 The house is pretty central and close to the Werribee Plaza which has everything you need. Fairly close to the Werribee train-station which a bus can take you directly to, or alternatively, it’s a 15 minute walk to the station. As mentioned early, I'm looking for female flat mates only who are respectful and extremely clean and organised. Strictly NO COUPLES. Someone who works Part-time/Full-time and is respectful of my belongings. I'm happy to share my utensils etc. Please don't hesitate to contact me to view the property :) Talk to you soon! *Please note: The house is located on pelican drive, however the address listed is incorrect for security purposes. The exact address will be given to those who would like to inspect the property.